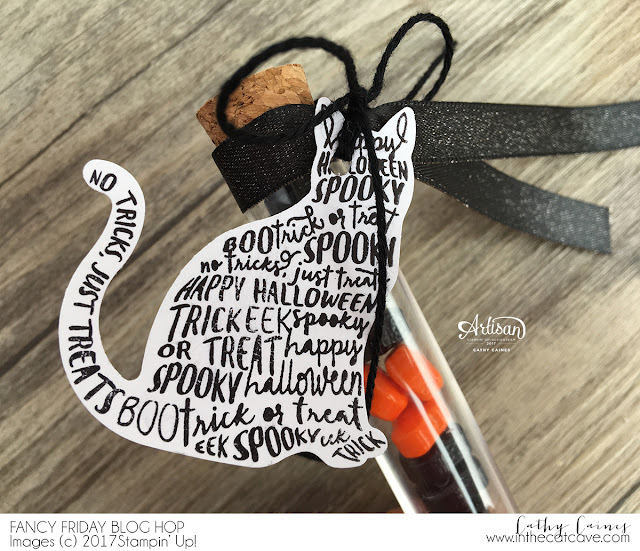 This month's Fancy Friday Hop is all about 3D projects. So your mind is going to be blown. 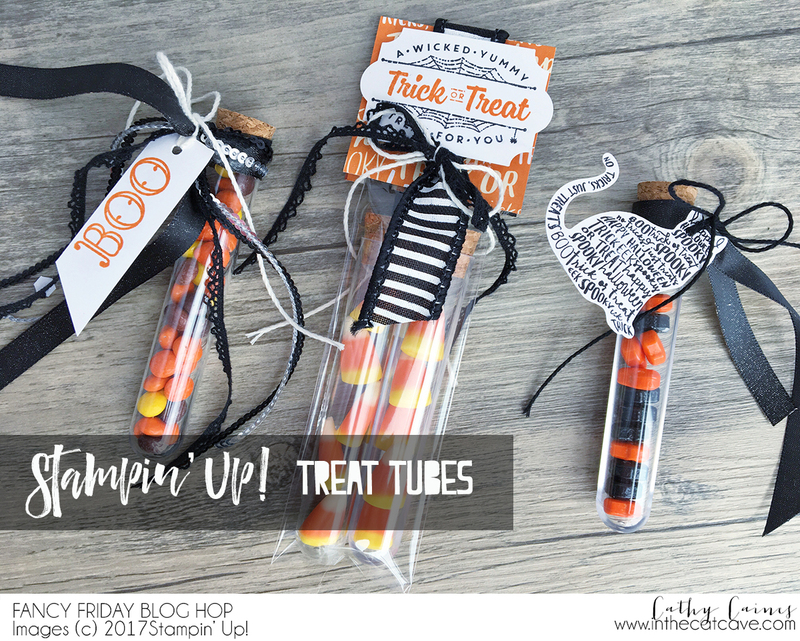 I was in a hurry to play with these treat tubes from Stampin' Up! because I truly feel like they are going to sell out - get them while they are HOT! 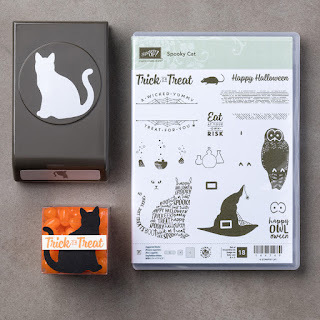 To create quick tags, I quickly stamped this word image in the shape of a cat. And yup - that's a cat punch. Honestly - two seconds and you are done. As always I like to use mulitple ribbons on my projects to give it texture... and of course, make it look super fun! Use a little bit of double side tear tape at the top to secure the thickest ribbon and it holds in place perfectly! 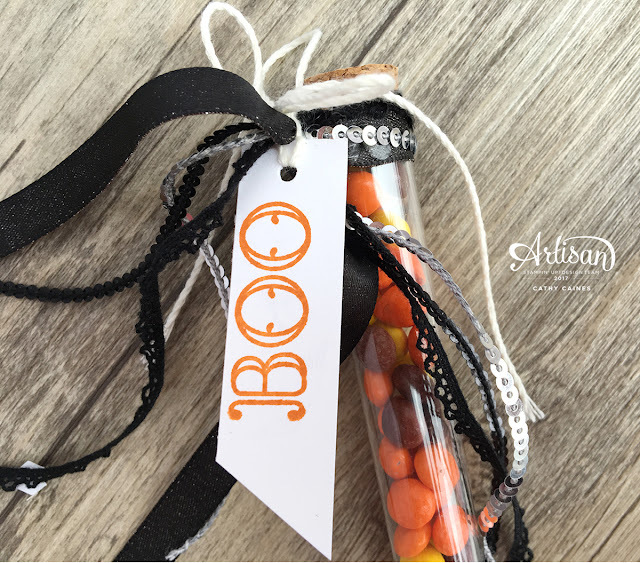 This is another quick and easy way to create a Halloween treat! 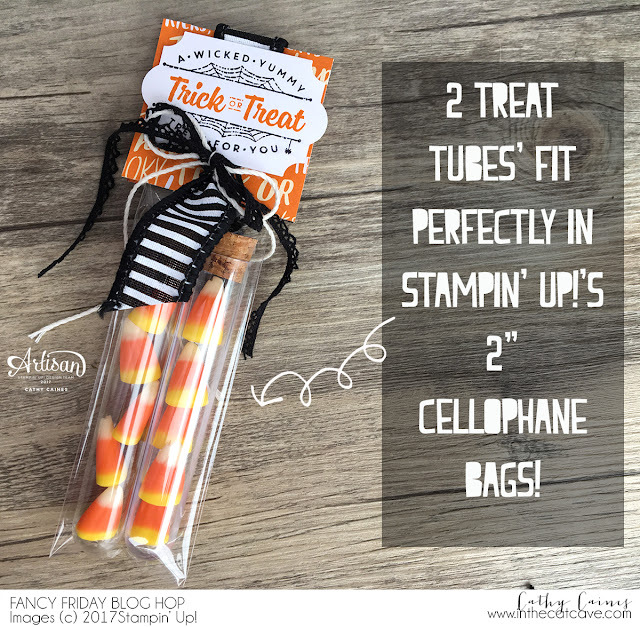 Soon, I discovered that two of the Halloween Treat Tubes fit perfectly inside a 2" cellophane bag from Stampin' Up! Decorate them with a cute topper and you've got yourself a dandy treat! 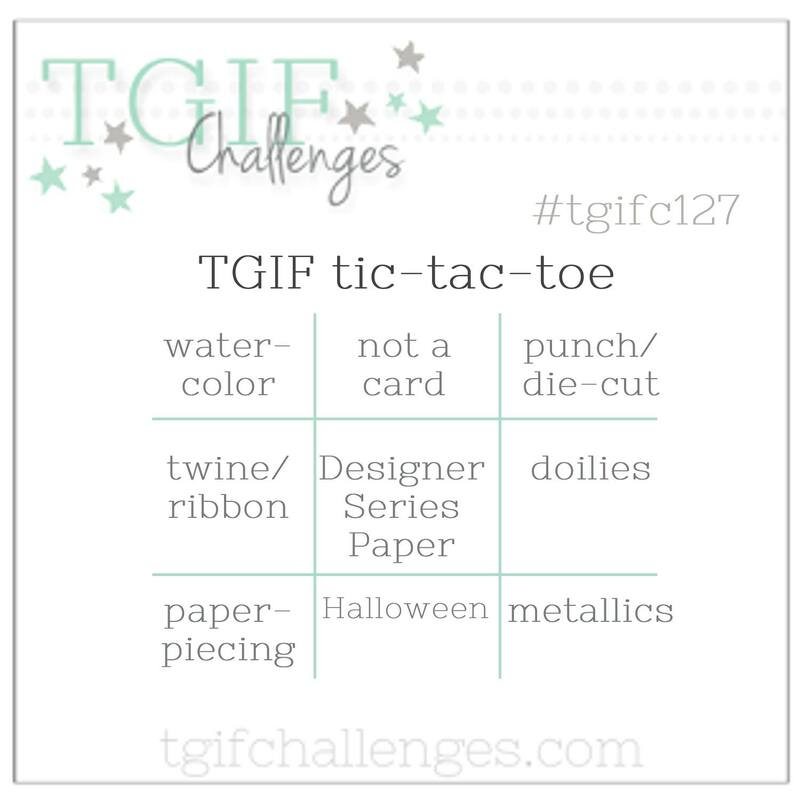 Since I was playing I decided to play along with the TGIF Challenge Blog Design Team in their Tic Tac Toe Challenge. I love these challenges because.. well.. its like a game that I can win. And when there's a competition - I go hard. I am a gamer through and through. I totally won by getting a line straight down the middle. Don't act like you aren't impressed! 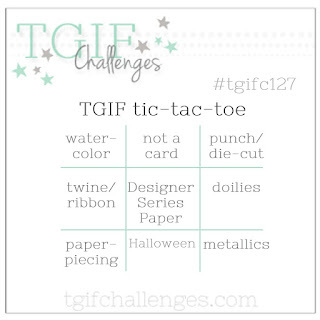 Be sure to play along too! I like you. I like you a lot. Thanks so much for popping by! And if you are interested in seeing me make these projects live then be sure to check out the video on my Facebook page in the videos section of In the Cat Cave. Thanks so much for popping by - be sure to keep hopping with my gorgeous and talented friend Cindy Schuster! You have some great creativity talent. Many people can get this idea of yours and can follow this. And one can also make it gor Hallowen preparations. Thanks for sharing.